Pioneers in the industry, we offer part load logistics services, part loads services, pan india logistics services provider, part load services, part load services - pan india express logistics and truck rentals from India. 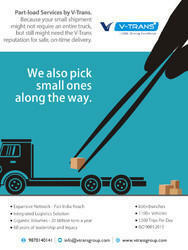 V-Xpress provides full and part load distribution services for a varied client base. 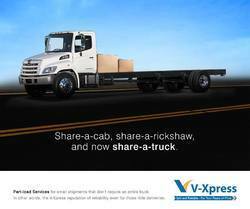 Our established distribution network means that V-Xpress are able to offer daily collections and deliveries anywhere within India. This provides a non-dedicated, shared user transport solution that is cost effective and meets individual client’s requirements. 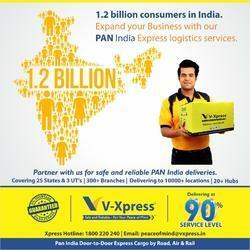 V-Xpress is a Pan India Time bound Door to Door Express cargo service provider with 300 + branches and delivering to 10000+ locations in 25 states and 3 Union Territories. 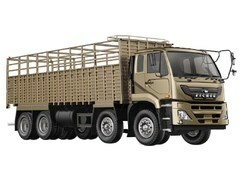 We do part loads for more than 1000+ satisified customers. supported by modern infrastructure & technology. We are your logistic partners. In order to fulfillment of our firm’s objective to provide complete customer satisfaction. Our experts leave no stone unturned to provide our clients, with the high grade services in the market sphere. We are continuously working towards the expansion of our firm, in which our efficient professionals helping us a lot by working round the clock & fulfilling all the orders of clients in timely & appropriate manner. In addition to this, our cargo vans are weatherproof vehicles that ensure safe & secure delivery of luggage and other given orders. We charge very minimum fees for the provided service that is only and only for the benefits of our precious clients based across the nation. Have small parcel that's too big for courier and small for Cargo. Don't worry. 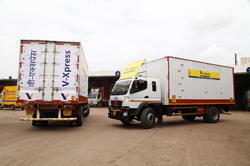 At V-Xpress we take even smaller cargo up to 20 KG in our Part Truck Load (PLT). Looking for Part Load Logistics Services ?